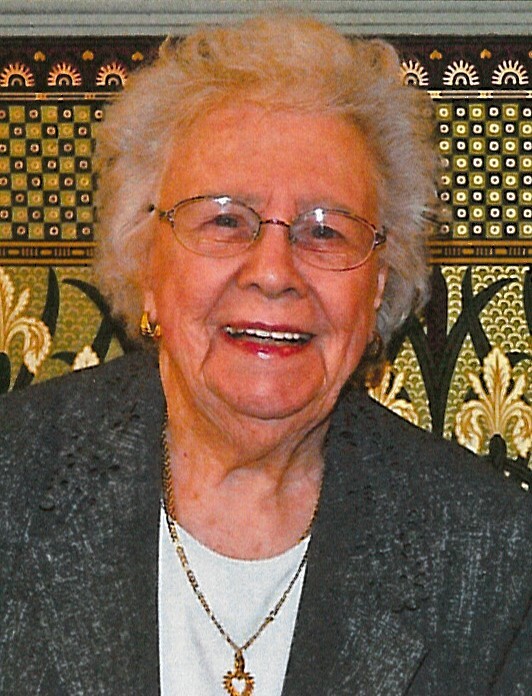 Lois Christina Bell, passed away peacefully on Wednesday, February 6, 2019, at the age of 98 in Alpena, Michigan. Lois Christina Nordstrom was born May 15, 1920 in Sault Ste. Marie to the late John and Lillian (Eagle) Nordstrom. On October 8, 1940 she married Cecil Bell. He preceded her in death on December 28, 1994. Cecil and Lois enjoyed travel and spending six months a year in Zephyrhills, FL and six months a year in Clarkston, MI. Her special joys included spending time with her church families in Drayton Plains and Zephyrhills, spending time with her nieces and nephews, and playing cards with all her Zephyrhills friends. Lois was a Brownie and Girl Scout leader and member of the Sault Ste. Marie V.F.W. Auxiliary. Surviving are her daughter, Carol (Marvin) Barnhart; dear friend, Barbara Conibear who was like a daughter; granddaughters, Venessa Howard, Leslie Keilen; and four great grandchildren. Lois was preceded in death by her daughter, Marilyn Smith; sisters, Margaret Campbell/Morris and Joyce Caraccio. A graveside service will be held Saturday, February 16, 2019 at 1 p.m. at Lakeview Cemetery in Clarkston, MI with Rev. Beth E. Delaney officiating. Arrangements have been handled by the Bannan Funeral Home.